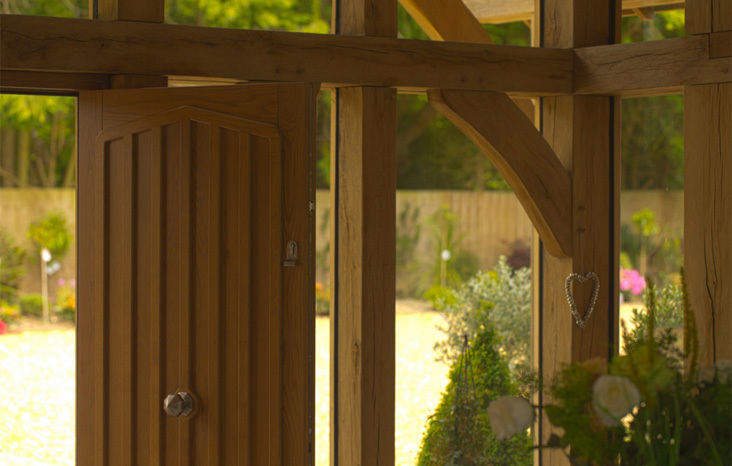 Each of the products in our timber door range delivers head-turning aesthetics. Yet, at the same time, they offer all the practical necessities of a modern-day door: sturdy construction, unbeatable day-to-day performance and high levels of security. Choose from a selection including bi-folds, entrance doors and Georgian French doors that can incorporate duplex bars. A range of moulds is also available, from ovolo, chamfer and lambs tongue. Large sizes built to order, to accommodate high and wide openings…. Rest assured that all of our products abide by the latest laws, including mobility thresholds that conform to building regulations and insulation panels ensure conformity with environmental obligations. So, whatever style you’re after, Stanbrook and Nicholson supply and install a huge range of bespoke timber doors. We’re confident we’ll have the perfect one for you. 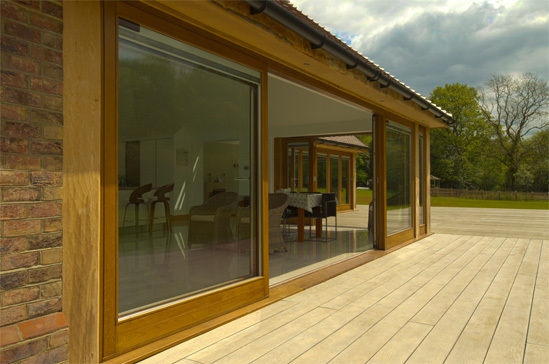 Remove all boundaries between your home and the outside world with our extensive range of timber bi-fold doors. The ever-green aesthetics of timber merge perfectly with the most contemporary of designs, making this the perfect centrepiece for your home. Looks aren’t the be all and end all though. 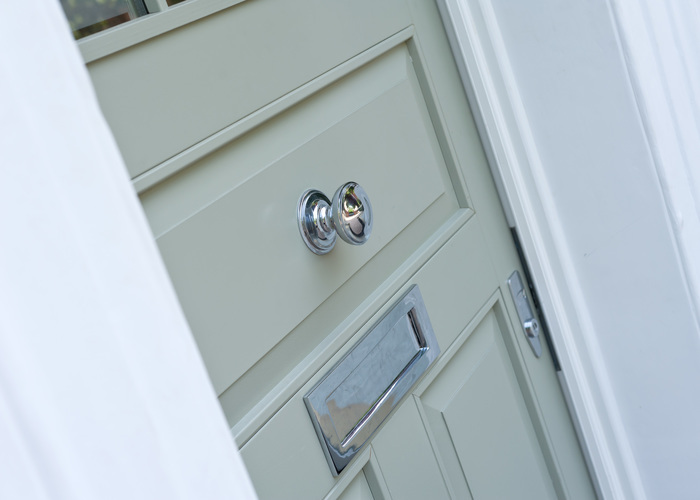 We’ve made sure these timber doors are as practical as they are attractive. For a start, we don’t use thin laminate coatings – only solid timber. This ensures increased levels of durability. They also feature a practical multi-point locking system which can be operated with or without a key depending on your preferences. As always, the double glazing also comes with the latest energy saving glass technology as standard so thermal efficiency is a given. 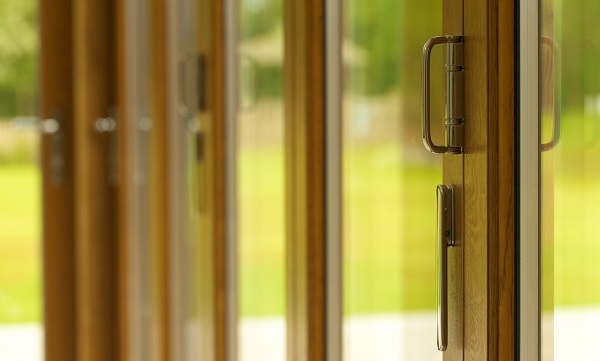 Stanbrook & Nicholson’s range of sliding doors offer a great alternative to our bi-fold timber door range. Timber construction delivers a timeless aesthetic as well as unfaltering reliability, while the German hardware system we use ensures incredible ease of use. These sliding-doors feature huge panes of glass and a minimalist frame design to maximise the amount of light flowing into your living space. As we all know, first impressions count. So, make sure your property gives off the right one by selecting a product from our extensive range of bespoke timber entrance doors. Yet, while we put the utmost attention into creating aesthetics truly deserving of your abode, we put an equal amount into practicalities. That means constructing and installing a door that offers high levels of day-to-day performance: durability to ensure minimal maintenance, security to keep intruders at bay and thermal efficiency to keep both your bills and carbon footprint down. Merge this with highly personal customer service and an after-care service guaranteeing all the promises and you won’t be disappointed. If you’d like to discuss all your timber door options, get a quote or even pay a visit to our factory, please don’t hesitate to contact us. We’re always happy to help.